﻿ GBIC vs SFP --- What are the differences? GBIC vs SFP --- What are the differences? When customer inquiry to us for Gigabit interface module, we usually think that is SFP module, but we have neglected another Gigabit interface module——GBIC. Why would GBIC be gradually replaced by SFP? What are their associations and differences? Let’s learn about it! GBIC stands for Giga Bitrate Interface Converter, was quite popular in 1990s. The design can be used for hot plug , SC interface. It is an interchangeable product conforming to international standards. The Gigabit switch designed with GBIC interface has a large market share in the market due to its flexible exchange. SFP stands for Small Form-Factor Pluggable, can be simply considered as an upgraded version of GBIC. SFP module is much smaller than GBIC module, you can have more interfaces on the same line card or switch, which is now more common, more use LC interface. The other functions of the SFP module are basically same as the GBIC. Some switch vendors call the SFP module MINI-GBIC. The other functions of the SFP module are basically same as the GBIC, so what are the differences between them? The shell of GBIC is larger, volume is two times that of the SFP module. GBIC uses the SC interface, while the SFP more uses the LC interface. Due to the difference of GBIC and SFP, their application switches are also different. GBIC module corresponding switch is GBIC slot, and SFP module corresponding switch is SFP slot. People who don't contact fiber often might mistakenly assume that the optical connector for GBIC and SFP modules is same, not really. SFP module connect to the LC optical connector, while GBIC connect SC optical connector. 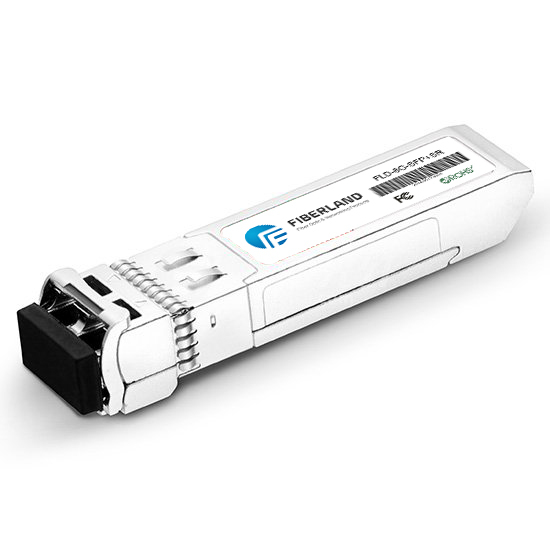 These years, due to the small size of SFP, GBIC module is being replaced by SFP module. Why is this happening? Because the size of GBIC is too large, it takes up too much space in the switch, causes no more interfaces to be available on the switchboard panel. However, the smaller size of SFP optical module makes this problem possible. Take an example: Have you ever heard of a 48 port GBIC line card on 6500 switch? The answer is no, but a 48 port SFP line card exists. Hope this blog will give you some understand about GBIC module and SFP module, no longer have doubts about what modules to choose.